I do not believe I could learn to like her except on a raft at sea with no other provisions in sight. Mark Twain's comment on Lilian Aldrich is reminiscent of an advertisement for Plasmon, a food substance for which he was an investor. 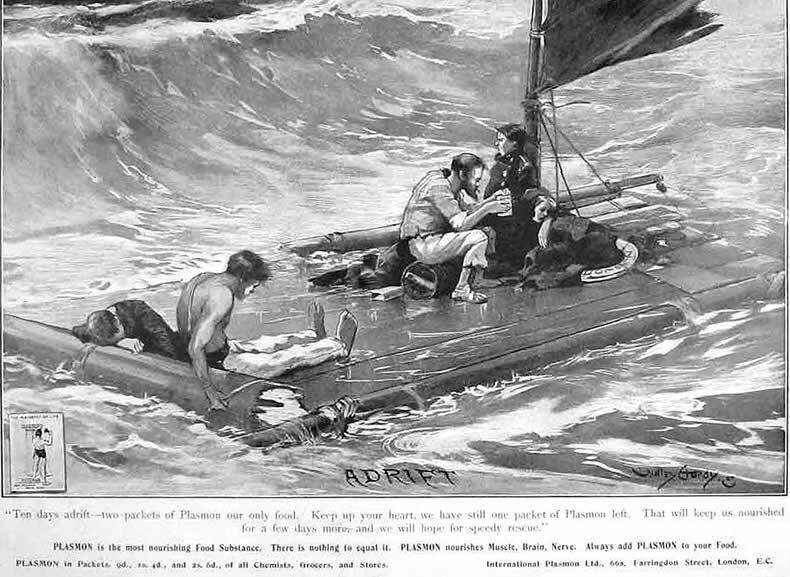 This ad appeared in the ILLUSTRATED LONDON NEWS, January 16, 1904.